Arbutus. 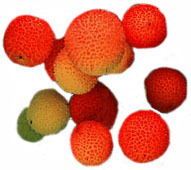 (Latin arbutus, strawberry tree, referring to the berries.) MANZANIA; MANZANITA; MADROÑA; STRAWBERRY TREE. Ericaceae. Fourteen species of large evergreen shrubs or trees to 15m high, with smooth red or silver-grey bark, flaking in thin plates. Leaves 5-10cm, alternate, simple, leathery, serrate or entire. Flowers pink or white in terminal panicles; corolla pitcher-shaped with 5 spreading lobes; calyx 5-lobed, persisting through the fruiting stage; stamens 10, anthers awned; ovary superior, 4-(rarely) or 5-celled. 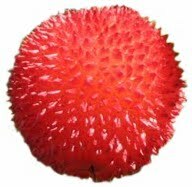 Fruit a berry, red or orange, glabrous or bumpy, 5-locular, enclosing numerous seeds. Western N and C America, S and W Europe, Asia Minor. Beautiful ornamentals with year-round interest, suited to plantings as lawn specimens, in the shrub border or at the edge of the woodland garden. 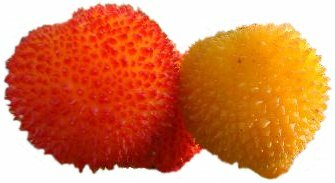 Arbutus unedo, the Killarney strawberry tree, occurs naturally at woodland margins and on rocky hillsides, often in calcareous soils, showing a lime tolerance unusual in Ericaceae, but which it shares with Arbutus andrachne and Arbutus X andrachnoides. Arbutus unedo is well suited to maritime plantings, and is also tolerant of some industrial pollution. In very cold climates, the smaller species are amenable to cultivation in tubs, to be moved into a frost-free house in winter. Arbutus are grown for their typically twisted but elegant shape, their leathery, dark, evergreen foliage, for their flowers (in some species bourne in winter) and for their decorative fruit, which in Arbutus unedo can be eaten fresh or preserved and used in liqueurs. A number of species have shining, peeling, cinnamon-coloured or peach-coloured bark, especially beautiful in Arbutus menziesii, Arbutus xalapensis and Arbutus andrachne, sometimes also in the variable Arbutus X andrachnoides. The clusters of small flowers are nectar-rich and sometimes honey-scented, as in Arbutus menziesii and Arbutus unedo; in the latter they are carried simultaneously with the previous year’s fruit, which is strawberry-like and colours from yellow to scarlet as the flowers emerge in late autumn and early winter. Although young plants may be slightly more frost-tender, mature specimens of Arbutus unedo, Arbutus arizonica and Arbutus X andrachnoides are hardy to -15ºC; Arbutus andrachne, given sharp drainage, is almost as hardy. Arbutus menziesii and the remaining species may suffer damage at temperatures below -10ºC. All species are susceptible to cold winds. Plant in lime-free, nutrient-rich, well-drained but moisture-retentive soils in sun or part shade, with shelter from cold dry winds, especially when young. Take basal cuttings in late winter, rooted in a sandy mix, in the closed case with bottom heat. Also by simple layering or low branches, which may take up to two years to root. 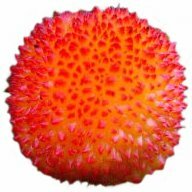 Sow seed when ripe, remove fleshy covering and stratify at 0.5-1ºC for 4-6 weeks; bring under glass as germination commences. Occasionally infected by a leaf spot disease, Septoria unedomis, causing small white spots with purple edges; their effects are largely cosmetic. Also by Phytophthora root rot. Arbutus unedo may occasionally become infested by the viburnum whitefly, Aleurotrachelus jelinekii. STRAWBERRY TREE. Tall shrub or small tree to 10m, bark coarse and flaking, young twigs glandular pubescent. Leaves to 10cm, oblong to obovate, glabrous, serrate, acute, shining above, tapering at both ends or only on base. Flowers white or tinged pink, 1cm, crowded in terminal pendent panicles to 5cm; corolla pitcher-shaped with small reflexed lobes at the mouth. Fruit scarlet, globose, rough, edible but bland. Late autumn. S Europe, SW Ireland, Asia Minor. ‘Compacta’: dwarf shrub. ‘Microphylla’: leaves smaller. forma integerrima. Leaves entire. forma rubra. Flowers rich pink to red. Z7.